Rhinoplasty, sometimes referred to as “nose reshaping" or a “nose job," improves the appearance and proportion of your nose, enhancing facial harmony and self-confidence.  It is one of the leading cosmetic procedures for both men and women in the United States, and Wilmington Plastic Surgery's four board-certified physicians are among southeastern North Carolina's most experienced surgeons in this procedure. Primarily requested for aesthetic reasons, surgery of the nose may also correct impaired breathing caused by structural abnormalities in the nose. Rhinoplasty is performed two ways: open and closed. The nose is corrected for form, function or both, and then sutured and immobilized for proper healing. During nonsurgical rhinoplasty, a surgeon injects the nose in strategic areas to change its shape without the need for surgery. If you are dissatisfied with the size or shape of your nose, talk to one of Wilmington Plastic Surgery's experts about your options.